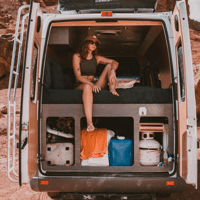 VanCraft rental Sprinter camper vans come with economical diesel drivetrains, huge off-grid solar systems and spacious professionally converted living spaces. Inside you’ll find a comfortable full size sleeping area, kitchen space, seating, charging ports for all your devices, an outdoor shower, and tons of well-organized storage. Our Long Van seats 6 and sleeps 4-6 adults. With tons of extra storage and room, the extra 4 feet of length is put to good use. Our Short Van seats 4 and sleeps 2-4 adults. Enjoy parking anywhere and access facilities that don’t allow motorhomes. 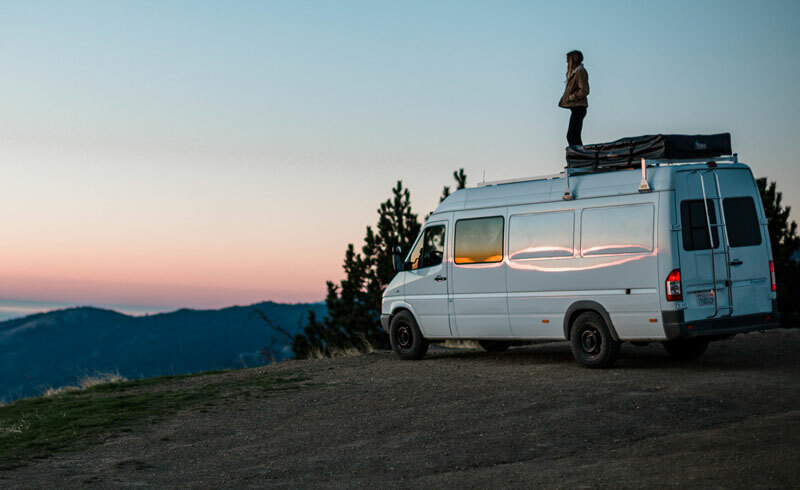 #VANLIFE is about the freedom of the open road. We include free unlimited miles with every rental booking. Every rental comes stocked with all the gear you’ll need, click below to see a full list of what’s included. Our rentals are a great way to get your feet wet, but we know that once you have tasted the #vanlife you may look for ways to do it more often, possibly even full-time. That’s why we offer fully built-out Sprinter vans for sale that are just like our rentals.